The translation of the code_aster and Salome-Meca documentation in English is now updated daily. four millions of words, the equivalent of a quarter of the Encyclopaedia of Diderot and D’Alembert. English translation is produced with the latest version of SYSTRAN Enterprise Server, which has been specially trained with a corpus of 75 documents (1500 pages), resulting from a joint post-edition work of EDF Energy R&D UK Centre and EDF / R&D / ERMES, and enriched with a glossary of technical vocabulary. 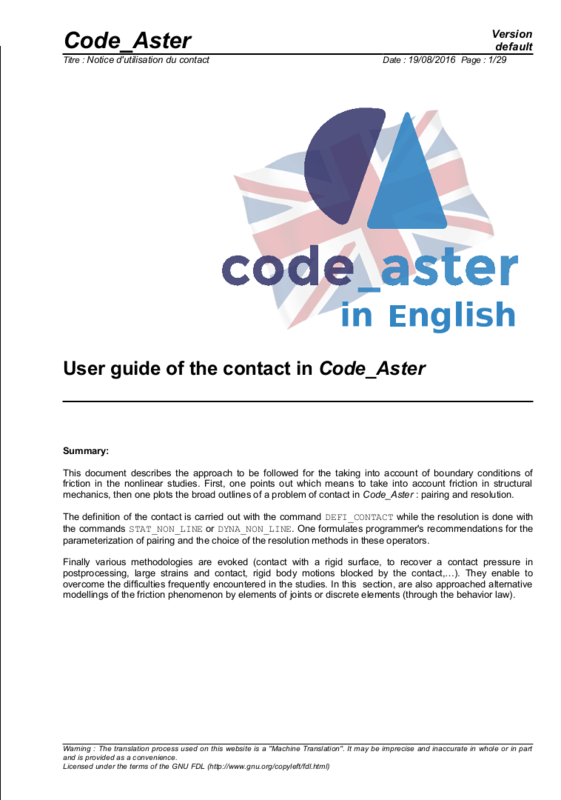 This will facilitate the promotion and use of code_aster and Salome-Meca within EDF, particularly in centers in the UK and China, and externally. The respect of the document style sheet is being improved and a better consideration of the translation memory is coming in 2017. Feedback is welcome on the forum or through the contact form !